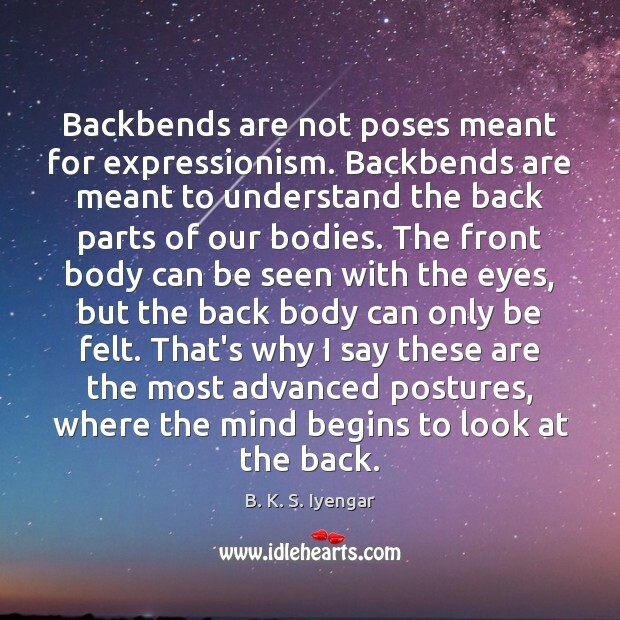 Quotations about Backbends. Quotes to stimulate mind and drive action! Use the words and quote images to feed your brain inspiring things daily! Backbends are not poses meant for expressionism. 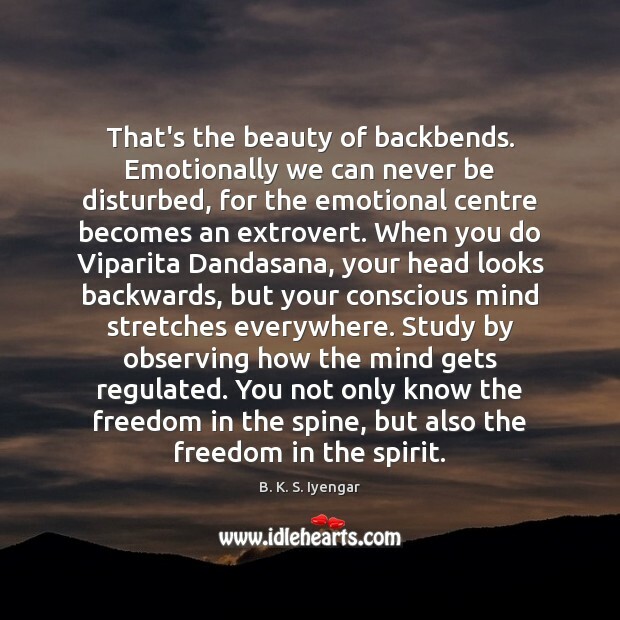 Backbends are meant to understand the back parts of our bodies. The front body can be seen with the eyes, but the back body can only be felt. That's why I say these are the most advanced postures, where the mind begins to look at the back. Backbends are to be felt more than expressed. The other postures can be expressed and then felt. 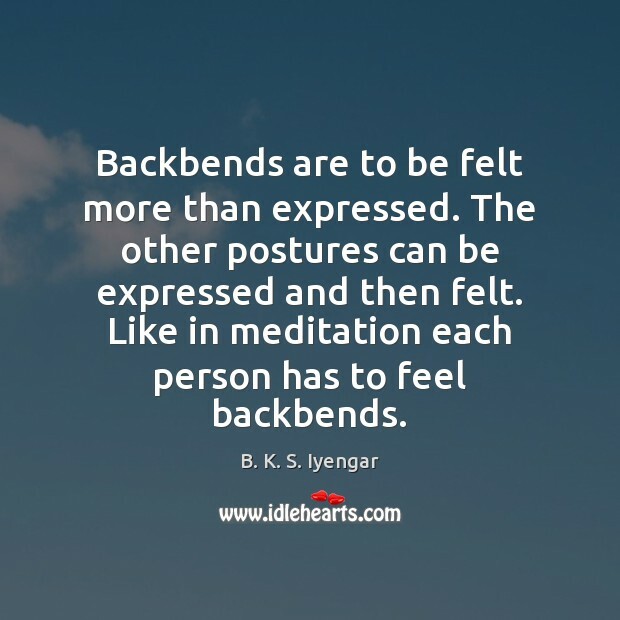 Like in meditation each person has to feel backbends. I also say with backbends, you have to be cautiously bold. Not carelessly bold. You have to descend to the dictation of the spine. You cannot command from the brain to do the poses. 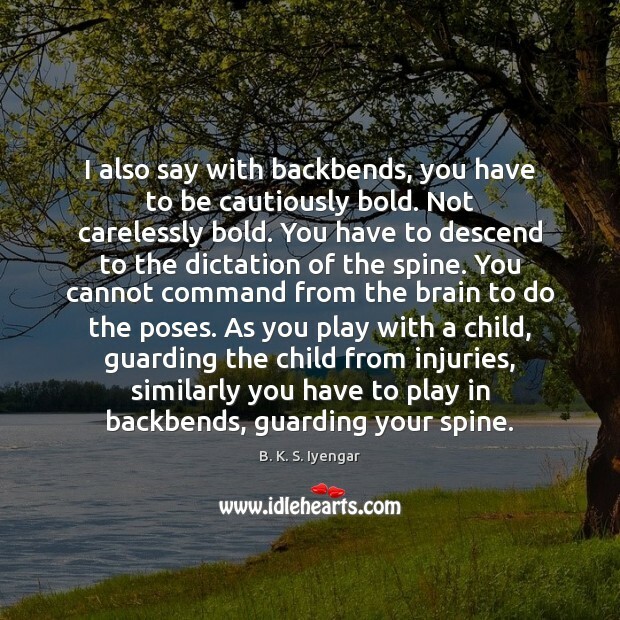 As you play with a child, guarding the child from injuries, similarly you have to play in backbends, guarding your spine. 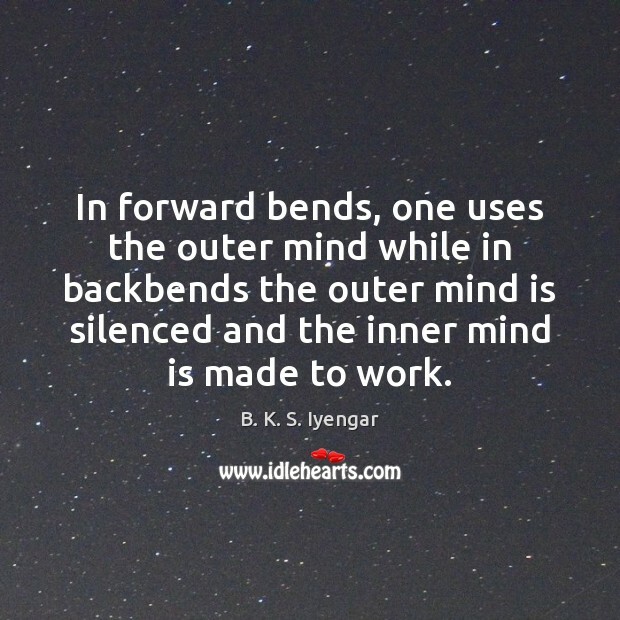 In forward bends, one uses the outer mind while in backbends the outer mind is silenced and the inner mind is made to work. That's the beauty of backbends. Emotionally we can never be disturbed, for the emotional centre becomes an extrovert. When you do Viparita Dandasana, your head looks backwards, but your conscious mind stretches everywhere. Study by observing how the mind gets regulated. You not only know the freedom in the spine, but also the freedom in the spirit. 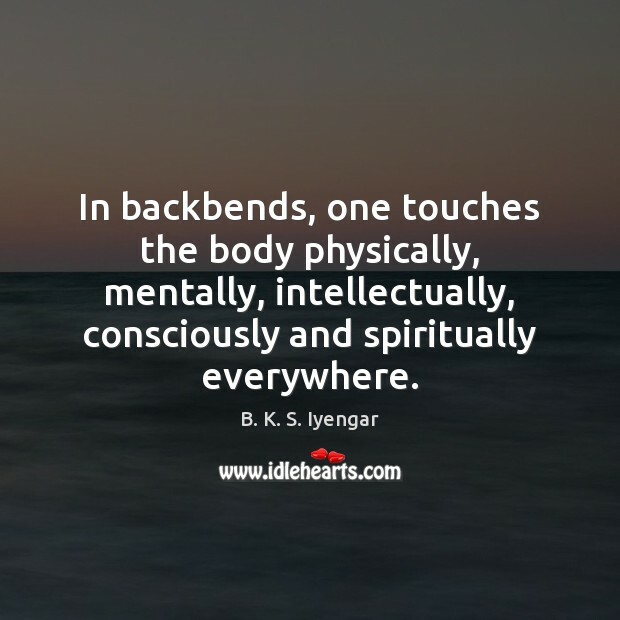 In backbends, one touches the body physically, mentally, intellectually, consciously and spiritually everywhere.